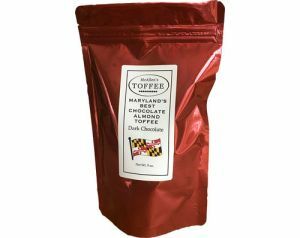 McAllen's toffee is made in small batches with nothing but butter, sugar, roasted almonds and dark chocolate. Their special recipe makes each bite easy on your teeth and a pleasure for your taste buds. Gluten Free! Proudly made in B'More Hon!